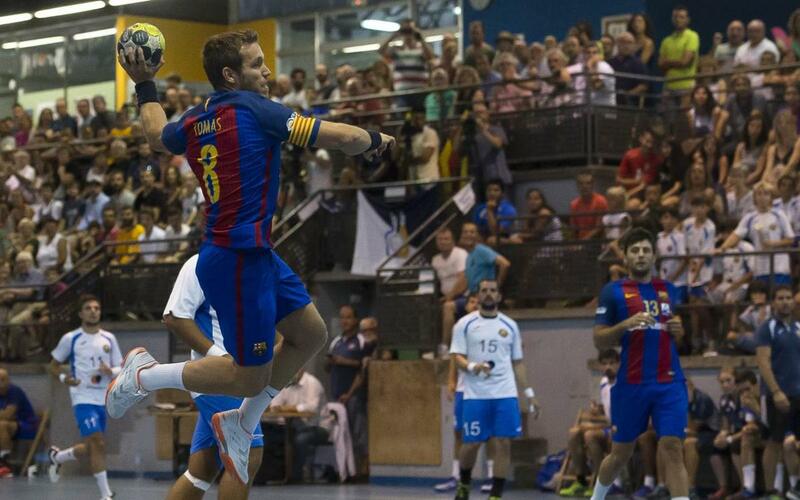 FC Barcelona Lassa handball claimed the first piece of silverware of the new campaign, winning the Asobal Super Cup with a 38-30 victory over Anaitasuna. The Catalans have now won the trophy the last five seasons on the bounce and gives them their 19th such title in its 31 editions. The match started out evenly, with no team able to race away with a sizeable lead. It was Barça who managed to go into the break three goals ahead (18-15), however. The second period followed the same pattern as the first, except for the last five minutes when Xavi Pascual’s team took an eight-point advantage to seal the cup. Barça’s Kiril Lazarov was the game’s top scorer with six goals, followed by Cedric Sorhaindo and Raúl Entrerríos who grabbed five each.